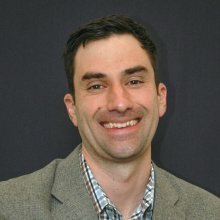 Adam Grabell, Assistant Professor, Psychological and Brain Science, College of Natural Sciences was recently awarded a seed grant of $15,000, with an additional $10,000 in facilities costs, from the Institute for Applied Life Sciences’ (IALS) Center for Personalized Health Monitoring to support a study of preschool children’s tantrums. Grabell will work with Jeremy Gummeson, information and computer sciences. Read more here.